Forestry, accounting for almost half of employment in the goods-producing sector, is a challenging story with a downward trend and an uncertain forecast in northern B.C., according to the Northern Development Initiative’s Trust (NDIT) second annual State of the North Report. It also notes that employment in forestry in the Cariboo-Chilcotin-Lillooet region declined between 2016 and 2017. “Our major forest companies enjoyed record lumber prices through most of 2018, which has helped keep them in the black, however, they’re also impacted by export tariffs in the U.S. market due to the as-yet unresolved Softwood Lumber Agreement. …Looking forward, reduced timber supply will place continued downward pressure on this sector and force some forestry companies to rationalize their operations, which could mean shutdowns, further job loss and community impacts in the coming years,” NDIT CEO Joel McKay writes. Logging contractors are hopeful that the latest B.C. government changes to forest policy will stabilize a traditional business so companies can be sold as a going concern, rather than winding up in an auction of costly trucks and harvesting machines. At the recent TLA convention, Premier John Horgan got a standing ovation when he announced changes to improve relations between B.C. forest licence holders and logging contractors. 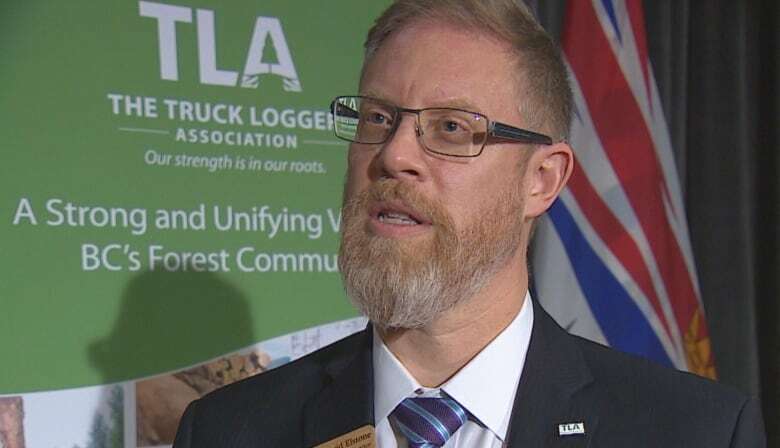 But the loggers were quiet about the NDP government’s proposed changes to reduce log exports, which the TLA has maintained for years is the revenue source that keeps some of them working in marginal-value stands. “We are nervous about them to say the least, because we don’t know how it’s going to work,” David Elstone, executive director of the TLA. …Elstone said chronic problems with domestic log bidding and log exports are linked. John Mcinnis opened a building supply business in downtown Prince George in 1920. His lumber yard covered an area of two square blocks. John was a founding member of the Cooperative Commonwealth Federation, now the New Democratic Party. He won in the provincial election of 1945 and served until 1949. During this time in 1948, he addressed Canada’s unfavourable balance of trade with the United States and called for a stop to the practice of exporting logs. During my early 20s, I worked for Stolberg Mill Construction where we built sawmills and planner mills throughout B.C. and Alberta. Back then, large-scale portable sawmills were engineered and fabricated to get closer to the wood supply, saving enormous transportation costs. …One of many reasons they are able to get away with exporting logs is that they harvest the logs from remote areas and in this way they are able to operate under the silence of the remote backcountry of B.C. The president and CEO of Vernon-based Tolko is one of two more Canadians named to the US Softwood Lumber Board (SLB). Brad Thorlakson will represent Canada West on the board. Kevin Edgson of Montreal, CEO of EACOM, will represent Canada East. Thorlakson and Edgson join four other new members, all from the US. …“The Softwood Lumber Board thanks Secretary Perdue for appointing a strong slate of new directors who reflect the diversity of the industry and will bring the unique perspectives from their regions,” said Cees de Jager, SLB’s CEO. The SLB is an industry-funded initiative established to promote lumber’s value proposition and increase demand for softwood lumber products in outdoor, residential and non-residential construction. B.C.’s former solicitor general Rich Coleman may be called to testify in a lumber company lawsuit which is being heard in court in Nanaimo starting today, Jan. 22. TimberWest is being sued by the former owner of a major logging contractor, over a bankruptcy in 2008. …According to court documents, TimberWest wanted to break up its work among more, smaller contractors to save money. Ted LeRoy Trucking (TLT) alleges that to do that, Timberwest needed to drive TLT out of business to terminate a contract. TLT alleges that TimberWest lied to TLT’s bankers and to union officials about the contractor’s finances, refused to allow TLT to log certain areas, and refused to negotiate annual rates in good faith, among other things. None of the claims have been proven in court, and TimberWest has denied all the claims. VANCOUVER – As a result of the final phase of the logging contractor sustainability review, the ministry will amend the Timber Harvesting Contract and Subcontract Regulation to make forest-sector contractors and licensees more sustainable and competitive in the long term. …“This review was done to make sure logging contractors’ paycheques accurately reflect the work they do and their cost of doing business, while also keeping licensees competitive.” said Doug Donaldson, Minister of Forests. …David Elstone, executive director, TLA said, “Today’s announcement… will result in a fundamental change in the relationship between contractors and their employers. …Susan Yurkovich, president and CEO, BC Council of Forest Industries said… “The contractor sustainability review has provided a forum to explore opportunities to make improvements that support the overall sustainability of contractors, licensees and the industry as a whole. While there is still more work to do, we are generally supportive of the recommendations that are emerging. 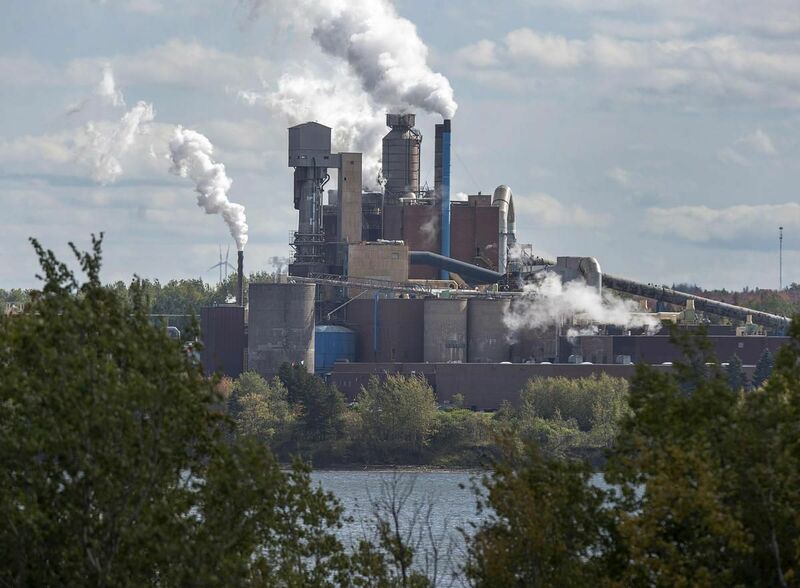 HALIFAX—Nova Scotia’s premier says he has no intention of changing a legislated deadline to close the Northern Pulp mill’s wastewater treatment plant in Boat Harbour — but he is open to debating proposed changes in the legislature. Stephen McNeil said any changes to the January 2020 deadline would have to evolve out of a community consensus in Pictou County, and would have to be brought to the floor of the legislature by the area’s Opposition members. In the meantime, McNeil said the government will keep its word to stick to the deadline. “What I’ve said is if the community could come together and find some resolution and they want an adjustment, they need to put that on the floor. Other than that we’re moving forward,” he said following a cabinet meeting Thursday. Could a sawmill help stem the housing crisis faced by Indigenous communities? THUNDER BAY—Ontario’s Minister of Indigenous Affairs Greg Rickford sent a particularly rich letter to the federal government, demanding “urgent” action from Ottawa concerning the crisis in Cat Lake. 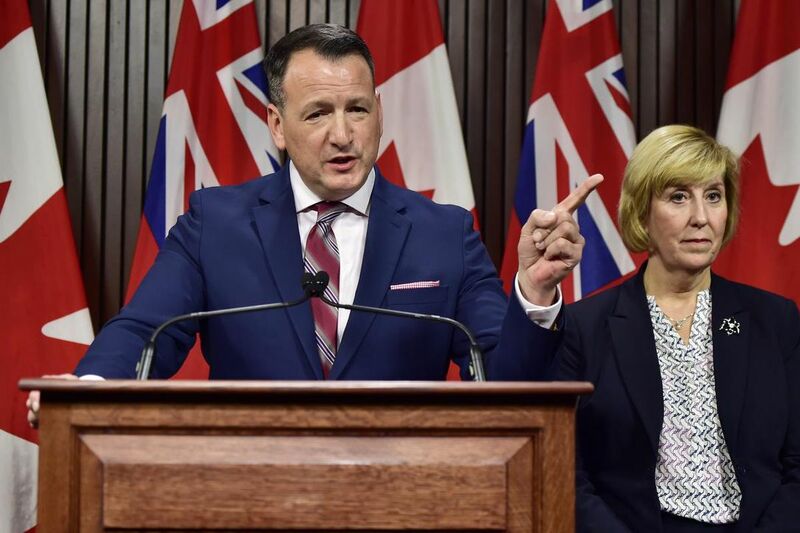 Rickford… called it Ottawa’s “legal, fiduciary and constitutional responsibility” to make sure First Nations received the basic needs of on-reserve housing. …Mike McKay, NAN’s director of housing… wants to see legislative changes that will allow communities to have lumber mills so they can access wood resources on the land and people can build their own homes. He points out housing standards… don’t really cut it in northern communities. “We need to build our own houses. We used to do that. We built our own homes with saw mills that were in the community,” he says. But that stopped when modern building codes were introduced. Members of city council got an update on the state of the forest industry during their meeting Tuesday night at city hall. Christine Leduc, EACOM’s director of public affairs, was in Timmins [made] a presentation to the province’s standing committee on finance that made a stop in Timmins for pre-budget consultations and she took the opportunity to update city council, as well. “We are in an interesting trade war with the Americans, so this is a good opportunity to give you an update of where we are at and the priorities we will be pushing for with Ontario,” she said. …“We are in the fifth iteration of this trade war,” Leduc said. …“The stressful situation for us is that until a successful resolution has been achieved, we continue to pay a 20.23% duty on all of our shipments to the U.S.” Approximately 60% of EACOM’s production is shipped to the United States each year. ALBANY, GA – The Georgia Pacific Lumber plant will officially break ground in a little over two weeks in Albany. Albany-Dougherty County leaders are eagerly awaiting the groundbreaking ceremony at the Industrial Park on Feb. 5. The lumber plant will create 130 new, full-time jobs, and Georgia Pacific is already starting to hire people to fill the positions. The company is also looking to hire on-site developers and engineers to complete the actual construction of the plant. …“The fruits of our labors over the last 10 years to develop that park into a site that will now support the $150 million investment and 130 new jobs into the community, so it’s something we’re really proud of,” said Economic Development Commission President Justin Strickland. 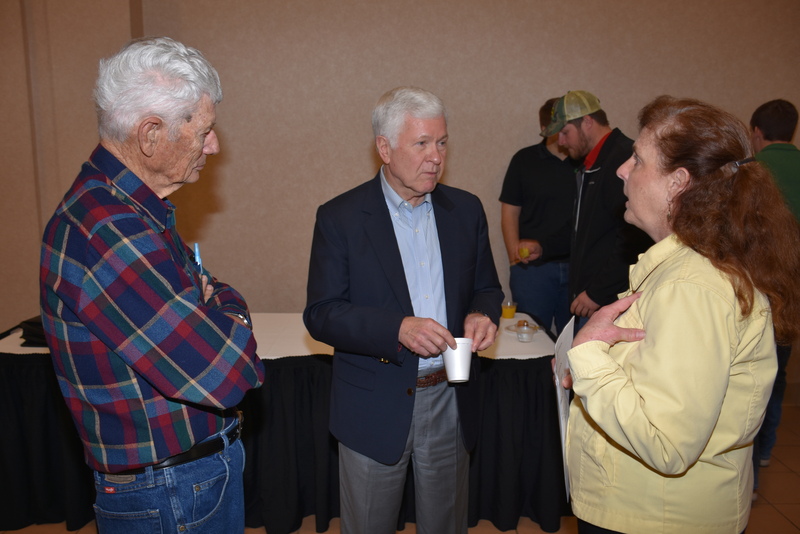 WEST MONROE — How to remain productive during changing times in the timber industry was a key topic covered at the 2019 Ag Expo Forestry Forum held Jan. 18 at the West Monroe Convention Center. Buck Vandersteen, executive director of the Louisiana Forestry Association, told the group how the recent announcement by Georgia-Pacific that it is closing a plant in the Baton Rouge area will affect the entire industry. He said if one part of the industry hurts, it will eventually be felt by those in other areas of the state as well. “The plant’s closing will idle more than 600 direct employees, and more than 3,000 indirect jobs will be impacted,” Vandersteen said. …He reminded those in attendance that survival requires a team effort. “I want to remind you that the timber industry is one industry — it’s not loggers against landowners and loggers against mills,” he said. J.D. Irving Ltd. plans to hire 10,000 workers between now and 2021, 300 of them in Maine. Of the total, 7,500 will be full-time hires and 2,500 of them students. Some 89 percent of the total will be in Canada, mostly in New Brunswick and Nova Scotia. 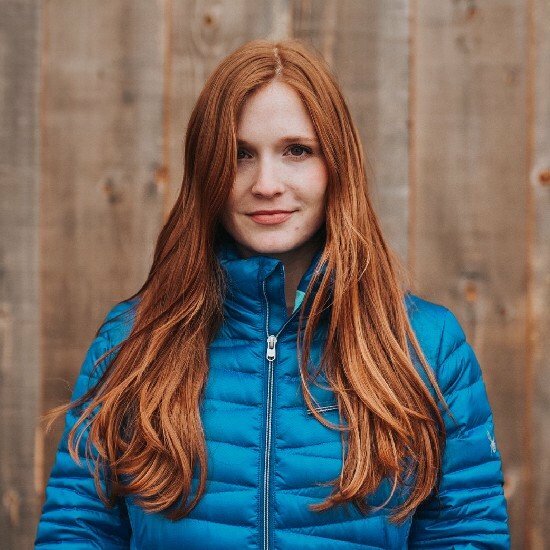 Mary Keith, a spokesperson for J.D. Irving, said most of the Maine jobs will be split between its Ashland and Dixfield saw mills and its woodland operations. Most of the jobs will be to replace anticipated retirements and normal workforce turnover, she said. But others will be student or seasonal hires and for business growth. …J.D. Irving already has 15,000 employees across its Canadian and U.S. operations in Maine, New York and Georgia. The timber industry has long thrived on its small-scale, local nature due to the sourcing of its materials as well as the limits on project size set by the building code. With this has come a good deal of fragmentation and disorganization, so we decided to map out the different schools, organizations, and manufacturers that are leading the way in the research and development of mass timber across the United States and Canada. Schools: Academic bodies are leading the way when it comes to mass timber research. Unconstrained by client concerns, schools are pushing the boundaries of how timber can be used in construction. …Organizations: A network of organizations offering design, engineering, and construction support have sprung up to help professionals think differently about using timber… Manufacturers: A variety of manufacturers are ramping up their output to meet demand. FPInnovations, in collaboration with 475 High Performance Building Supply and the Canadian Wood Council, engaged in a project to introduce wood fibre insulation products into Canadian construction through a series of high profile demonstration buildings. The objective of the work was to expose wood fibre insulation products through these demonstration buildings to accelerate their acceptance into Canadian and other North American markets. As part of this project, FPInnovations would like to invite all interested parties to attend two webinars that will present different aspects of these wood fibre panels: the demonstration buildings project and their potential use as interior partition systems. The second edition of the Woodrise International Conference on the construction of high-rise and mid-rise wood buildings will be held September 30 to October 3 in Quebec City, Canada this year. The program committee is working hard to offer the most complete experience to international participants who will be taking part in this major event. “Building our cities for future generations” will be the theme and focus of the various presentations and plenary sessions, which will bring together specialists and experts from various fields of interest. Participants can expect top-notch presentations, thanks to the presence of international speakers. The detailed program will be available shortly. …As part of the conference, participants visiting the Exhibition Hall will have the opportunity to learn more about major projects and innovations of some participating companies. These short promotional or informative presentations (maximum of 15 minutes each) will be held in a specifically designated space during refreshment and lunch breaks. When it comes to rallying around wood and wood products, Missoula still shows its lumber-mill roots. That was evident Wednesday afternoon when about 50 people packed into a mass timber workshop sponsored by eight agencies and organizations, including the Colorado-based Woodworks Wood Products Council and the Montana Department of Natural Resources. “I organize these workshops in a lot of places and we thought we’d get 25 people,” said Arnie Didier, chief operating officer of the Missoula-based Forest Business Network. “So shout-out to Missoula.” The audience, mostly engineers and architects, were there to learn more about mass timber… The product is now being used instead of steel and concrete to build tall towers, said Woodworks Wood Products Council regional director David Hanley. …The Woodworks Wood Products Council and the Forest Business Networks will hold the International Mass Timber Conference on March 19-21 at the Oregon Convention Center in Portland, Ore. Traditionally most of the human built environment was made of stone or wood, but nowadays reinforced concrete is one of the world’s most commonly used construction materials. This trend needs to be reversed if we are to reduce climate change, and I would like to see much more wood used as structural, insulative and decorative elements in future Macau buildings. …In contrast to concrete and steel, wood is a sustainable and renewable natural resource that is effectively carbon neutral. Plants absorb carbon from the environment to grow and this carbon is trapped within wood that is used in buildings. …Governments in Finland, Canada, the Netherlands, New Zealand and Tasmania have proclaimed Wood Encouragement Policies and I would really like to see something similar in Macau. It is yet another way we could promote our environmental credentials, lead the technological development of the region and nurture a regionally competitive local engineering consulting industry. Timber frames, for so long limited to the low-rise residential sector, have begun to break into commercial and higher-rise uses, thanks to technological breakthroughs. What does the future hold? For more than 100 years steel and concrete have been the default structural frame material for tall buildings. Accordingly, while Western society has embraced wooden buildings across various typologies, the idea of a wooden high-rise or even mid-rise building has been something of an oxymoron, an impossibility from the realms of eco-extremism and fantasy fiction. 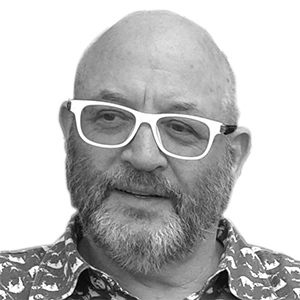 …But thanks to remarkable recent advances in the technological capabilities of wood, largely focused in the areas of engineered timber and beam-and-post structural frames in particular, all these preconceptions could be about to change. …Arguably its chief technical asset is its lightweight construction. 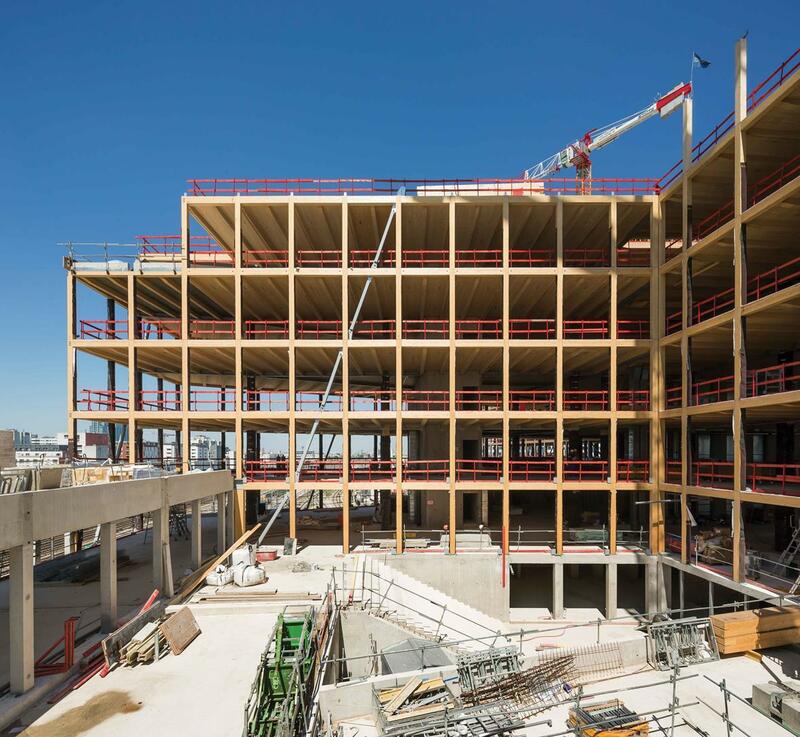 …Another clear advantage for timber buildings – in a low- or high-rise context – is that they are a sustainable, low-carbon alternative to steel and concrete frames. The proposed 21-story Ascent tower in downtown Milwaukee — which would use timber beams for its frame rather than steel — won approval from the city’s Plan Commission on Tuesday. …the project now heads to the common council. Tim Gohkman, director of New Land Development, the company heading up the project, said the proposed mass-timber tower, when finished, will be the tallest of its kind in the Western Hemisphere. Construction on the project could start in fall and wrap up in spring 2021. …Mass timber is also resistant to fire, a fact on display when the century-old Trinity Evangelical Lutheran Church in downtown Milwaukee caught fire last summer. Although the fire caused the church’s roof to collapse, its large wooden support beams remained intact. …A fire will char the outside of heavy timber and prevent oxygen from reaching its core, which keeps beams structurally sound. Society and industry recognize the vital roles wetlands play in our environment. …Resource roads can pose an environmental and operational challenge. They are essential to forestry operations, yet maintaining the integrity of wetlands’ hydraulic functions must be integrated into road management. The two can co-exist by following best management practices. The results can also reduce construction and maintenance costs, as well as improve operational, economic, and safety performance. …To promote these best practices, FPInnovations produced four videos in 2018 on managing resource roads across wetlands while respecting their ecological functions. The videos are a companion guide to “Resource Roads and Wetlands: A Guide for Planning, Construction, and Maintenance,” released in 2016… and partially funded by the Sustainable Forestry Initiative. Ymir residents are taking their concerns about proposed logging in their watershed to Premier John Horgan. In a letter released Thursday, the Ymir Community Watershed Society details what it refers to as “procedural unfairness” in its communications with BC Timber Sales (BCTS) regarding development plans in the Quartz Creek watershed. 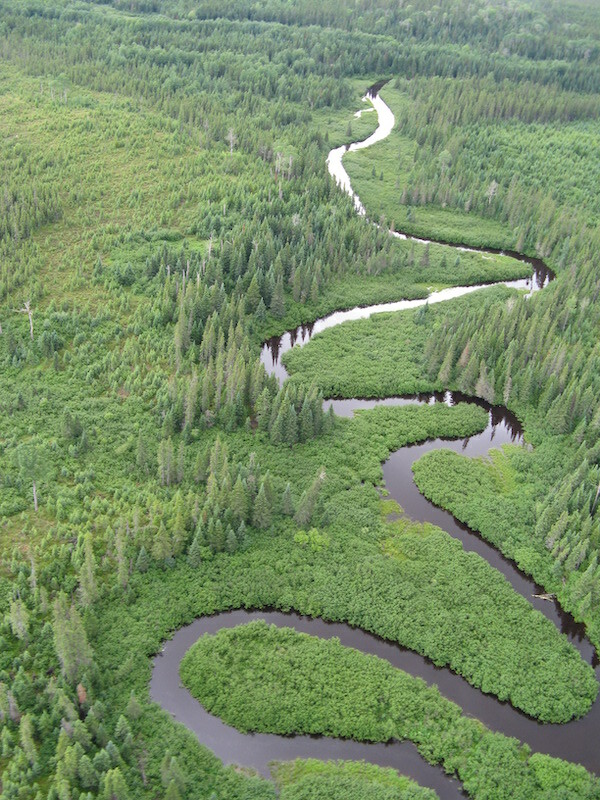 BCTS has said it plans to log in the area of the watershed, which is Ymir’s only water source. “It is very clear that our concerns are not being heard… so we’re appealing to a higher level of government,” said society spokesperson Jason Leus. …BCTS timber sales manager George Edney… said in an email that BCTS has a meeting scheduled with the society. Conservation groups and First Nations have filed legal action in the hope of forcing Environment Canada to protect Alberta caribou herds after federal findings that the province has failed to do so. “The federal government has the power and the legal responsibility to act,” said Melissa Gorrie of Ecojustice, which is acting on behalf of the David Suzuki Foundation, the Alberta Wilderness Association and the Mikisew and Athabasca Chipewyan First Nations. The groups have filed an application in Federal Court to force Environment Minister Catherine McKenna to place five caribou herds in northeastern Alberta under an emergency protection order…. Caribou conservation is often seen to be in direct conflict with forestry and energy and the jobs they generate. Gorrie said caribou numbers are a good indicator of the health of the boreal forest. Water is one of the most common limiting factors in production systems. Drought tolerance allows plants to survive and grow relative to another individual or group. Since trees are the tallest species on the planet, moving water from one area to another within the tree presents a particular challenge. Tolerance varies within a tree species, for example, pines generally are more tolerant than hemlocks, but there is also variation within a species population. Drought tolerance is becoming increasingly important for maintaining productivity of forests, especially in areas where limited moisture has not previously been a problem. Trees that live on the edge of the species range in drier areas usually have increased drought tolerance through natural selection. How much tolerance exists within a species is an important question for tree breeders. 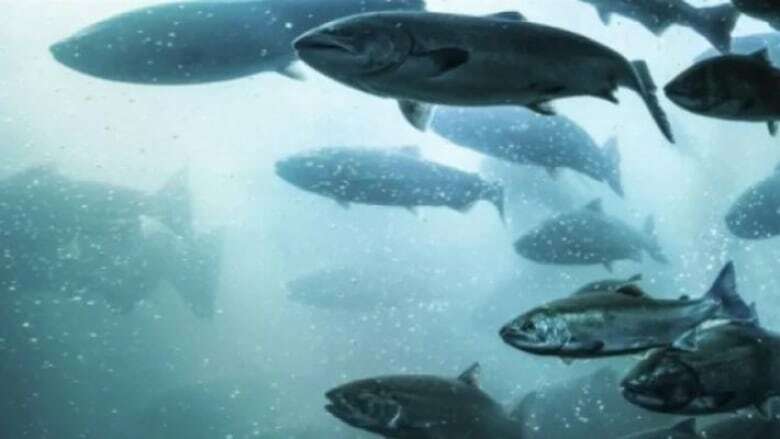 Proponents of a plan to stock adult salmon in the Miramichi River will make another attempt this year to win approval for the project from the Department of Fisheries and Oceans. CAST… is a New Brunswick registered company chaired by James Irving, co-CEO of J.D. Irving. The project — dubbed SAS, or smolt to adult supplementation — was stalled, at least temporarily, when DFO refused to issue permits in both 2017 and 2018 following complaints from Miramichi-area First Nations about lack of consultation and questions about the science behind the project. …Opponents say the period in the ocean ensures only the strongest fish return to the river to breed. They fear without that natural selection process the storied Miramichi salmon population will be weakened. The bulk of federal employees will miss two paychecks by Friday, Jan. 25… But the U.S. Forest Service is dedicating paid staff to a controversial initiative in Alaska. The agency released an update saying it’s still working on “high-priority projects,” such as reviewing how the Roadless Rule applies to Alaska. The rule is a federal regulation most states have to follow, which makes it difficult to build new roads on wilder parts of national lands. Alaska has asked for an exemption to the rule. 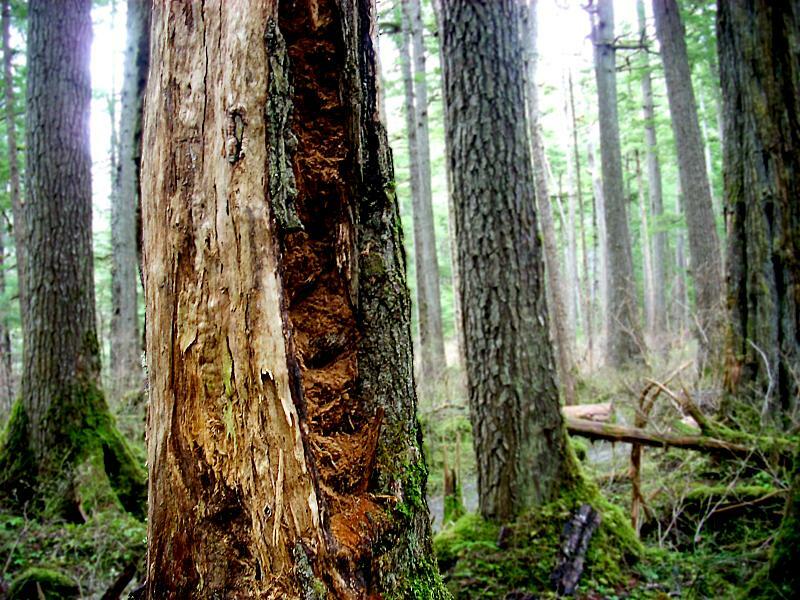 It’s been a decades-long battle in the state — centered mostly on the timber industry and energy development in the Tongass National Forest. …Recently, conservation groups in Alaska criticized the agency for planning a timber sale during the shutdown and for a lack of transparency. What started as a campus tree census and a smartphone app called “WCUTrees” has now led to Western Carolina University being honored with 2018 Tree Campus USA recognition. Tree Campus USA, an Arbor Day Foundation program, honors colleges and universities and their leaders for promoting healthy trees and engaging students and staff in the spirit of conservation. To be designated as Tree Campus USA, WCU had to meet five core standards – maintaining a tree advisory committee, a tree-care plan, dedicated annual expenditures for its tree program, an Arbor Day observance and student service-learning project. A total of 364 campuses across the country have received Tree Campus USA designation. “The recognition is always a nice pat on the back for years of hard work by our grounds crew,” said WCU chief sustainability officer Lauren Bishop. Every year, the Earth’s natural carbon sinks such as forests soak up large amounts of CO2 produced by human activities. But in years when the tropical Pacific region is warmer like this year, trees and plants grow less and absorb smaller amounts of the gas. 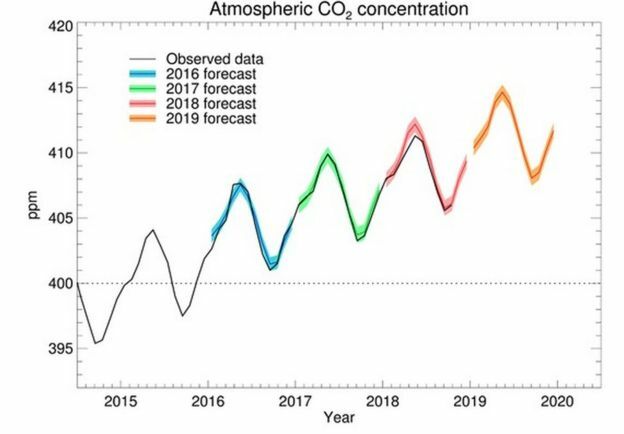 As a result, scientists say 2019 will see a much bigger CO2 rise than 2018. Since 1958, the research observatory at Mauna Loa in Hawaii, has been continuously monitoring and collecting data on the chemical composition of the atmosphere. In the years since they first started recording, the observatory has seen a 30% increase in the concentration of CO2 in the atmosphere caused by emissions of fossil fuels and deforestation. Scientists argue that the increase would have been even larger without the ability of the forests, land and seas to soak up around half of the gas emitted by human activities. This ability however, varies with the seasons.